Elire recently hosted a Miles Drive from the Make-A-Wish Minnesota chapter. 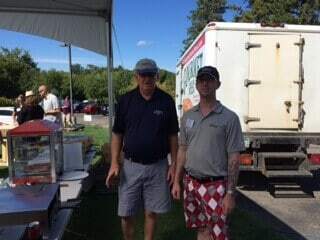 This unique fundraising opportunity started through our involvement in last year’s Oracle Direct Charity Golf Tournament, where Make-A-Wish Minnesota was the selected charity. 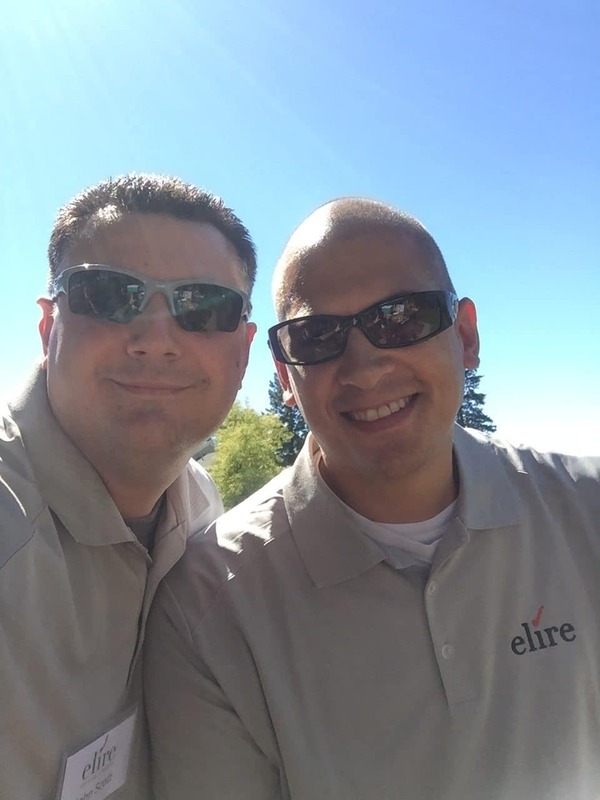 Team Elire wanted to take the relationship a step further and see what else we could do for this amazing organization. For those unfamiliar with Make-A-Wish, their mission is focused on strengthening and empowering children battling life-threatening medical conditions. For these children a wish experience can be a game-changer, encouraging them to comply with their medical treatments and providing their families with hope. Over the course of two weeks, Team Elire and members of our trusted Friends of Elire network were able to donate their United, Delta, American, Jet Blue, and Southwest miles towards assisting with flight for wishes. Over 75% of wishes include travel, with the Make-A-Wish Minnesota chapter using over 75 million miles alone last year. We’re proud to say we raised $147, 658 miles total – with 102,500 of those miles going directly to our local Make-A-Wish Minnesota Chapter. 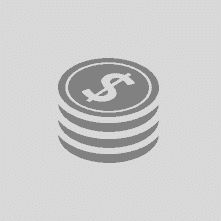 The remainder of the miles are donated to Make-A-Wish International. To donate your own miles, click here. For more information on Make-A-Wish, take a look at their website or sign up to volunteer! It was an honor to work with a charitable organization that has touched so many in our community. For more information on Elire’s Charitable partnerships, or to meet with our team, visit our Elire in the Community Page. When a fire impacts a family and they rush to the hospital for care…mom may just take what is in her purse, dad may just have his wallet and keys. To help them through day 1 or day 31, Firefighters for Healing provides basic necessities, restaurant gift cards, hotel vouchers and now Uber travel certificates for families to get to and from treatment at Hennepin County Medical Center’s Burn Unit. “Teaming up with Uber helps the families we serve travel worry free during this difficult time,” said Chris Dunker, Vice Chair – Firefighters for Healing. Help us get the word out to parents/guardians of children who would benefit from this experience! Camp is August 21-24, 2017 and FF4H would LOVE to fill their roster by July 8. Parents: Whether your camper was burned years ago or recently, you are all progressing through recovery and developmental changes and challenges. Camp RED is for burn survivors aged 6 – 15 years of age who want the opportunity to live beyond the scars and to be kids. Our hope is that their time at Camp RED will help them Realize Every Dream for a better tomorrow! Firefighters for Healing was founded by a former Minneapolis firefighter, Jake LaFerriere, in 2010 after he suffered third and fourth degree burns as a result of a backdraft explosion. While in recovery, he met several children in the burn unit, each undergoing painful treatments for their injuries. This inspired him to create Firefighters for Healing, a non-profit 501(C)(3) charitable organization that provides financial and emotional support to children who are survivors of severe burns. Visit www.firefightersforhealing.org for more information. Elire is a proud corporate partner to Firefighters for Healing, including “Founding Partner” status at their annual Firefighters for Healing Gala. Elire first became involved with Firefighters for Healing at the Oracle Direct Golf Tournament, where Elire is a Platinum Partner and Firefighters for Healing was the supported charity for the year. Since the formation of our partnership, Elire has dedicated time and volunteers to many Firefighters for Healing events, including the Annual Polo Tournament, Christmas Present Drop, Red Tie Gala, and more. Elire members also serve on Firefighters for Healing Board of Directors and Executive Committee. The Second Annual Firefighters for Healing Red Tie Gala was hosted on Saturday, November 12th. For the second year, Elire was a Platinum Level sponsor. This year’s event was held at the Muse Event Center in Downtown Minneapolis, and Elire team members from across the US suited up to be a part of this historic night! From sponsorships, ticket sales, and silent auction donations, the event raised over $150,000!! Firefighters for Healing is a non-profit organization founded in 2010 that aims to support burn survivors and their families in ways insurance companies and caretaker are unable to. Support from both the community and donors allows FFFH to replace essential living items that have been lost in a fire, as well as assist with funds for costly corrective surgeries. The organization donates their time, money, and resources to burn survivor children, families, nurses, and doctors at local burn unit facilities. Apart from the amazing work FFFH does for those children currently in the hospital, much of the pain of those burns continue throughout the child’s lifetime. In summer 2016, FFFH was able to send five burn survivor children to a burn-injured youth camp in Colorado where they were able to run, play, jump, and be themselves – something many of these children were uncomfortable doing or unable to do after their injuries. Firefighters for Healing has made it their goal – with the help of the money raised at the Red Tie Gala – to start their very own burn camp right here in Minnesota! We look forward to seeing updates on MN’s first burn camp as plans progress. For more information on Firefighters for Healing, or to make a donation, visit http://firefightersforhealing.org/. Team Elire was at Deer Run Golf Course in Victoria, MN on Thursday, September 08, 2016 as the Eagle Sponsor for the 2016 Oracle Direct Charity Golf Tournament. 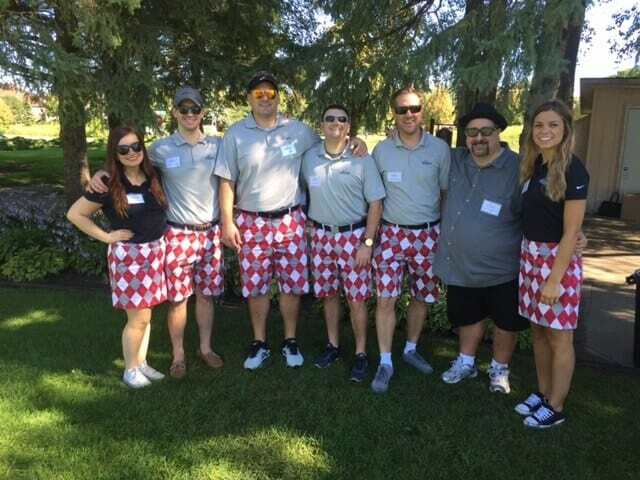 14 Elire Team Members, including 4 of our Owners, set up bright and early for a day of golf, fun, and giving back, with all proceeds benefiting the Make-A-Wish Foundation. The Make-A-Wish foundation grants a wish every 38 minutes to children who have been diagnosed with life-threatening medical conditions. This year, the goal was to raise $75,000 to donate towards wishes, and at the moment the goal has been surpassed in donations! As part of our Eagle Sponsorship, Elire hosted the golfers at Hole #10. 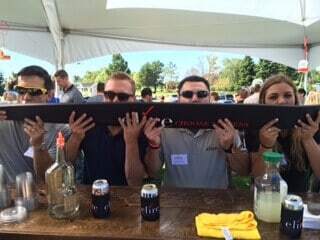 Golfers arrived to a DJ, full bar, Big Birdie golf for a chance to win Vikings tickets at the new US Bank Stadium, and our very own Elire branded shotskis! 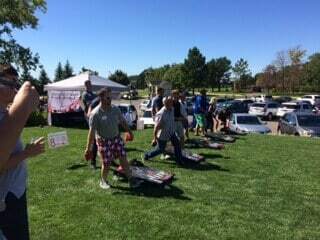 Golfers and volunteers came to tee off, but stayed to hang out with the Elire Team and have a great time. 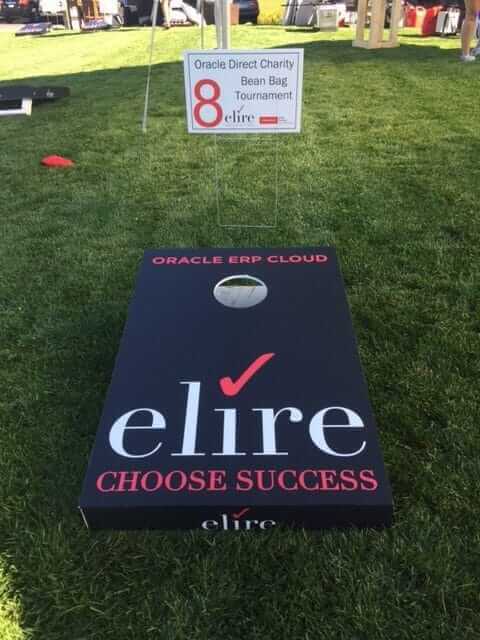 Elire also hosted the Bean Bags Tournament where participants were treated to Elire’s signature Vodka Lemonades and Gourmet Parlour Pizza, along with Elire Shotski’s and a regional favorite game – Hammerschlagen! Representatives from the Make-A-Wish foundation opened the tournament with a brief speech on their work providing hope and joyous memories to children with terminal illnesses and their family. 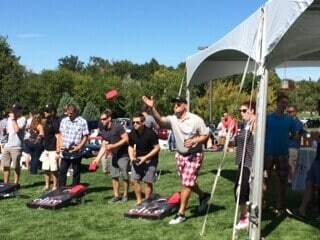 Congrats to Bjorn and Joe, our bags tournament champions! 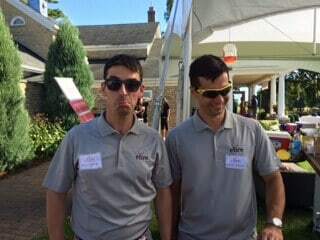 Two of Elire’s Founders, Brian Peterson and Landon Hartvigsen, were in the top 4 out of 32 teams in the Bags Tournament! All Beverage Tips and additional funds raised from Hammerschlagen were donated to Make-A-Wish. A big thank you to Oracle Direct for putting the event together! We look forward to seeing everyone again next year, and to topping our fundraising goal! Team Elire aims to do more than just deliver success for our clients, we’re also passionate about supporting their efforts to better their communities. 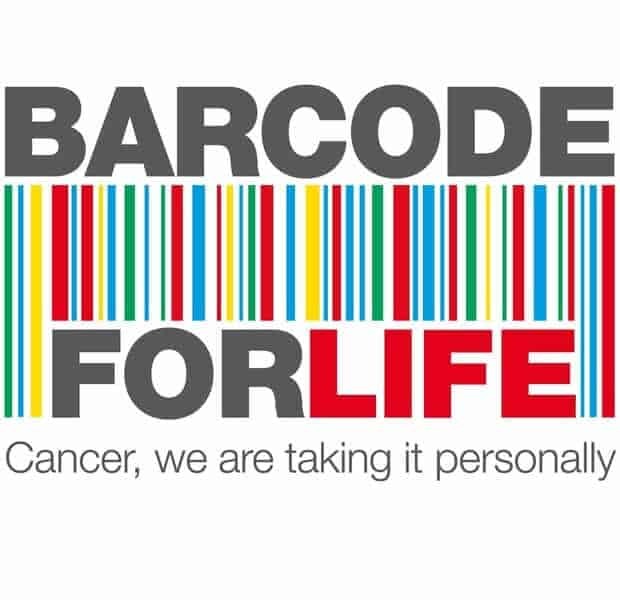 Elire is proud to donate to Stelvio for Life, Prologis Europe’s charitable cause, an international charity founded in 2012 with the goal to collect funds for the Barcode for Life foundation. Funds raised enable fundamental research for personalized, patient orientated cancer treatment based on DNA analysis of a patient’s specific cancer. Stelvio for life takes place every year on the last Saturday of August, or the first Saturday of September. The event is a run, cycle, or walk up the Stelvio pass which starts at Bormio, and covers a half marathon distance over a 1,533 meter ascention, ending at 2,758 m above sea level.